Discussion in 'iPhone and iPad Games' started by PeteOzzy, Mar 4, 2015. Cool little highscorer, pretty impressed with my first, short play. "The game plays like a dream...simply divine..." - Touch Arcade - 5 Star Review, Forum Game of the Week! "Neat simplicity...strangely compulsive" - Pocket Gamer Bronze Award! 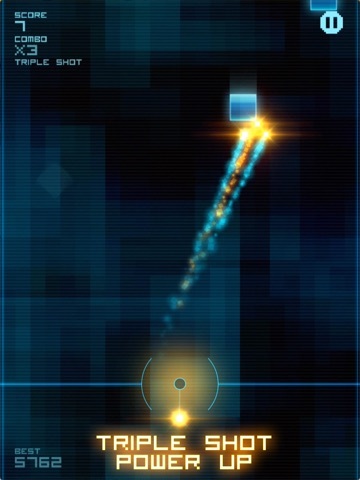 Featured in TIME.com's Best iPhone Games of the Week! Feel the rush. A beautiful firework display of hypnotic neon destruction. Game Features: * Throw fireballs, smash blocks, score big. 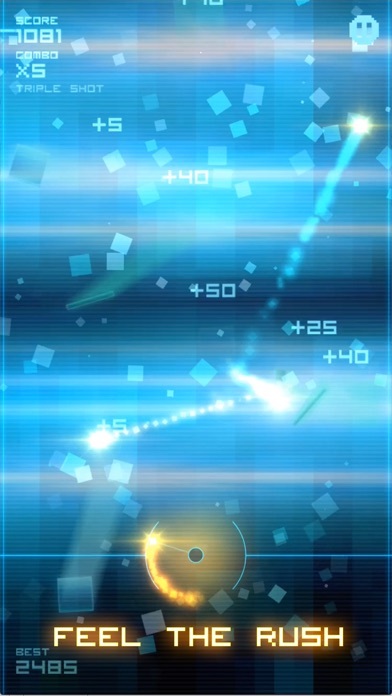 * Timing-based one-touch gameplay. * Pumping EDM soundtrack. * Combos for massive scores. * Triple Shot power up. * Challenge friends to beat your score. * Created by AAA developers of worldwide smash hit games. 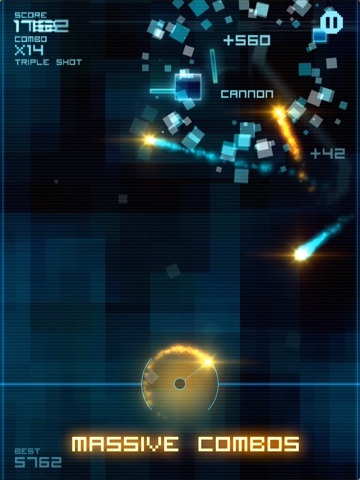 Blokshot Revolution is a fully featured free game with a single IAP to remove ads and unlock the full soundtrack and game modes. Once you're done struggling with aiming, you're going to delete it fast, or you might pay the two bucks to go premium. It's that easy,i guess. I'm the later. You hardly can load a game faster and play it ride away, including replay. How did this game not make the 'Out Now' thread? This is freakin awesome! Much better than many other games that make the list each week IMO. Like stated above, you will either love it or hate it because of the launching mechanic, but I certainly think it is what makes this game so fun. It's original and beautifully done. I sure hope it gets some updates and additions, it has major potential. My app store says, actual version (only one) out 27.2.15. Hmm...maybe this disqualifies it to be a new game ? On the other side, our game finder wizard, Pete, would have posted this a week ago, quite sure. What the heck, i'm still going to nominate this little pearl for GOTW, specially with this real bad week of any meaningful releases, only imho. Edit: or maybe the Devs were simply holding back the release to iron out a bug...? wow.. And I mean WOW! This is just amazing. It's so polished, so smooth and soothing. The aiming needs practice and I like that. You have to keep calm and steady because every single successful hit increases your combo and every single miss looses it. 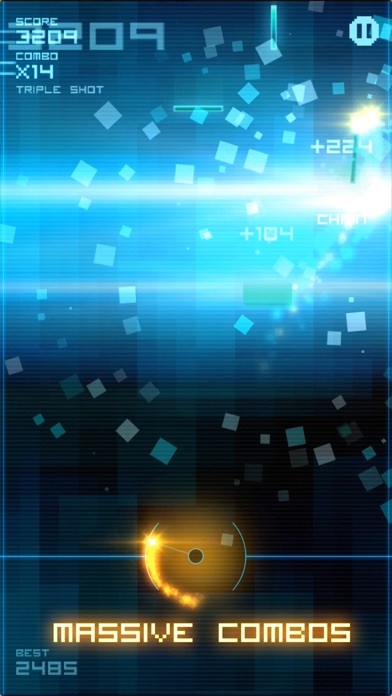 As you progress the incoming cubes are getting smaller but are worth more points. Visually it's just stunning. 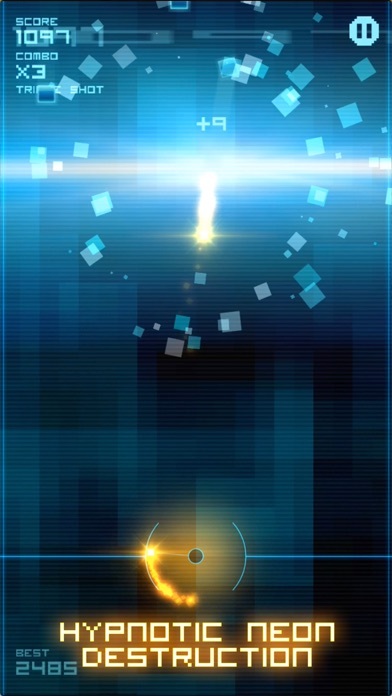 Minimalistic with a lot of particle effects and simple background. Music is fantastic and complements the whole mood perfectly. I highly recommend to try. You won't be disappointed, it's free. But I encourage to go with single IAP to remove the ads and support the developer so we can have more hidden gems like this. It's a masterpiece, enjoy it. This week isn't as strong as a previous few this year but I totally agree with Qwertz555 about the GOTW nomination. There goes my vote this week. Wow, this one is definitely creative and unique. Looks good, plays well. The aiming is definitely challenging but not in a frustrating way. I was pleasantly surprised by the amount of strategy needed to get higher scores/combos. It seems like it's better to wait for more blocks to get on the screen to increase the odds of ricocheting off one into another. However, by waiting long, you sure better be accurate with your shots. Fun! Blokshot Revolution is excellent. The controls couldn't be more simple: Touch and hold to spin, release to launch. 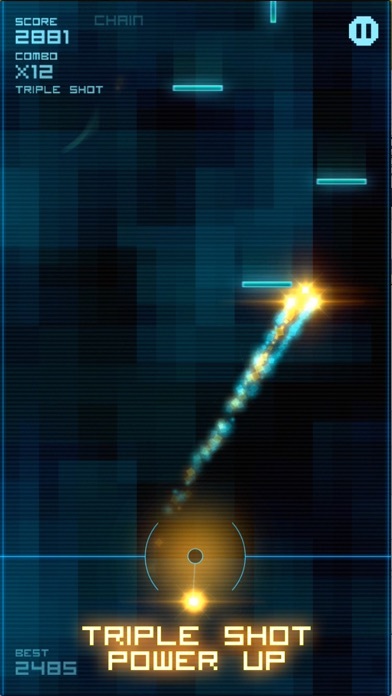 Launch shots at blocks that fall from the top of the screen. 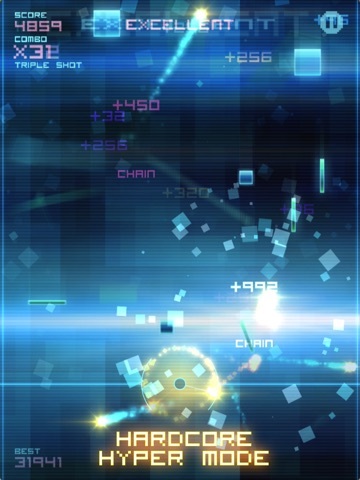 Each block you hit adds to your combo, reach X3 combo to unleash 'Triple Shot'. 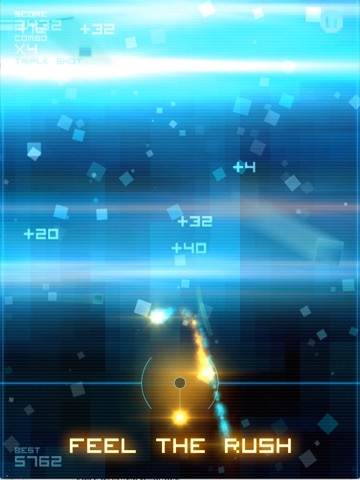 The gameplay does become very absorbing, especially when you perform a shot that saves the day at the last moment. The controls will take getting used to but it's a great feeling when you start pulling off chains and canons for more points. The game is finely presented, from the visual style to the fine tunes. It's free to download so give it a try and let me know what you think. 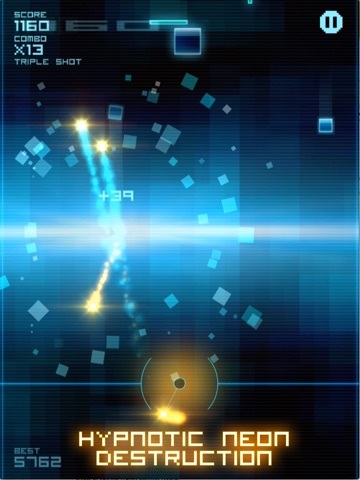 There's no consumable IAP, just $1.99 to disable ads which also unlocks the full soundtrack. Thanks Pete for posting, and those who nominated the game in the GOTW thread. Blokshot Revolution has quickly become a real favourite of mine. Oh wow... How did i miss this? Hi, I'm Steve. My mate Tim and I made Blokshot. I just wanted to drop in here and say thanks very much for your support. We're really glad you're enjoying it. Cheers. Tim from Foxhole here! I would also like to say thank you all for enjoying Blokshot Revolution -- I can't tell you how thrilled we are with your kind words! I missed this one too. Glad it got bumped up to the Hot New Games section. I knew I should have waited on my GOTW noms. I'll be adding this to the list! Just went from 200 something to 5,986. Totally got lost in the game! Definitely a cool game. Any chance of some more ambient music tracks? Also, some background themes or occasional color changes would be cool. Good luck, hopefully TA's notice will bring this game success. Welcome Tim and Steve ! You read the short but glowing thread and i have nothing much left to say others than i made a 5star review in my store (hope it's showing) and nominated you in the GOTW-thread (Devs can't vote for their own game). Oh yeah, i repeat myself, others backgrounds, if possible. I'm a sucker for red-ish ones...and others. Choosable as an option, i'd say. Seeing the leaderboard (selfish proud being second, yet), it's growing slowly, but growing. Wish you the best and already curious about your next game. Yes, welcome guys! Great game! Q: Is there a restore purchases option somewhere? Disabled ads on iPad but can't find an option to restore on iPhone. Thanks. Hi there. Yes, restore purchase is in the pause menu (top right during play - which pauses the game (but not the combo which is a bug and will be fixed in an imminent update)). Please let me know if you have any problems with it. Thank you, that did it. Just realized you could change the music tracks from there too, awesome! Just saw this! Saw who liked it. Consider it downloaded! Ok...WOW, so far. Only have a handful of games under my belt, but I'm gonna throw 5 early imps stars at this one. Love the gameplay mechanic. Sweet wrk fellas;! I followed the same rabbit hole! Saw Andy's nom in the GoTW thread, realized I had never heard of it, then read the great impressions here (AKD) and immediately downloaded it. I played a little this morning and I must say I love fun, unique, polished arcade shooters like this. I'm slowly getting use to the "wheel shot" so my high score is a measly 300 at the moment...I can't wait to find a nice block of time to sit down and play! Like this game, got 1600 points so far, nice slingshot mechanic.